Welcome to Helga Schworer Hair Salon online. 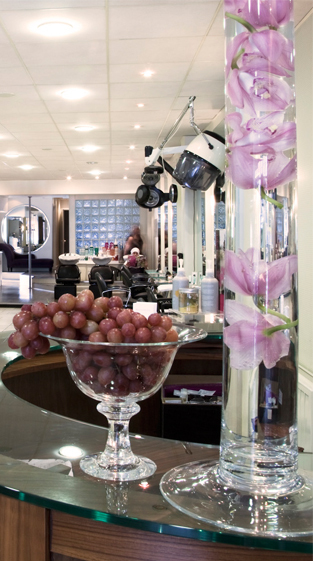 At Helga Schworer hair and beauty salon, we seek to combine the sophistication of Dublin 4 with the edge and modernity of Dublin City to create a warm, friendly and welcoming salon for you – our cherished clients. When you take a break from the hustle and bustle of your life- our aim is to help you feel restored, revived and rekindled in what we like to call our ‘little oasis of calm and luxury’. All with a view to making you ………………..
AN EVEN MORE BEAUTIFUL YOU! Salon Update – We at Helga’s are constantly researching the latest in natural haircare and colour that contains no nasty sulphates or parabens. At the moment stocking three (nasties free) haircare ranges and three amonia free colour ranges. In time hoping to rid the salon of nasties completely…for further updates on this check out our Facebook page!